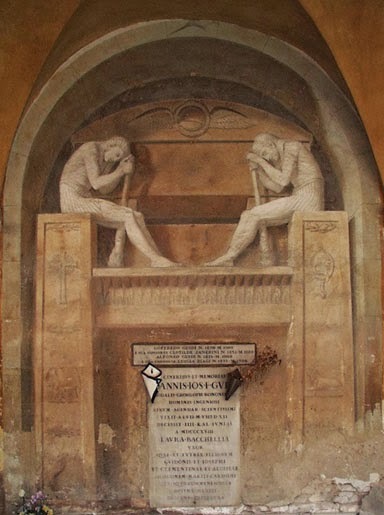 The monument is dedicated to Giovanni Guidi, who died in 1818. The work is a typical example of the painted memorials executed during the Jacobin period, although the iconography in the Egyptian style is very rare. The rich symbology alludes to the moral qualities of the deceased and includes the Ouroboros (the serpent that bites its own tail), a symbol of eternity.